My girls are great readers but they struggle with math. It's something I really have to spend extra time on with them. After a long day at school followed by homework they are not too keen about putting in even more time working on math. How do I counteract that? Games! Yes, by now they know mom is trying to be sneaky and teach them math but they get sucked in anyway because they enjoy playing games, especially if it's also being done as some one-on-one time with me. Today, I am going to share a simple Math Facts Matching Game that I used last year with the Oldest Diva and am using again this year with the Littlest Diva now that she's in First Grade. Having basic math facts memorized really helps with later problem solving, especially as they move towards double and triple digit numbers and of course multiplication and division. Write targeted math facts on the leaf cut-outs. For this particular game we focused on doubles, doubles plus one and ten facts. 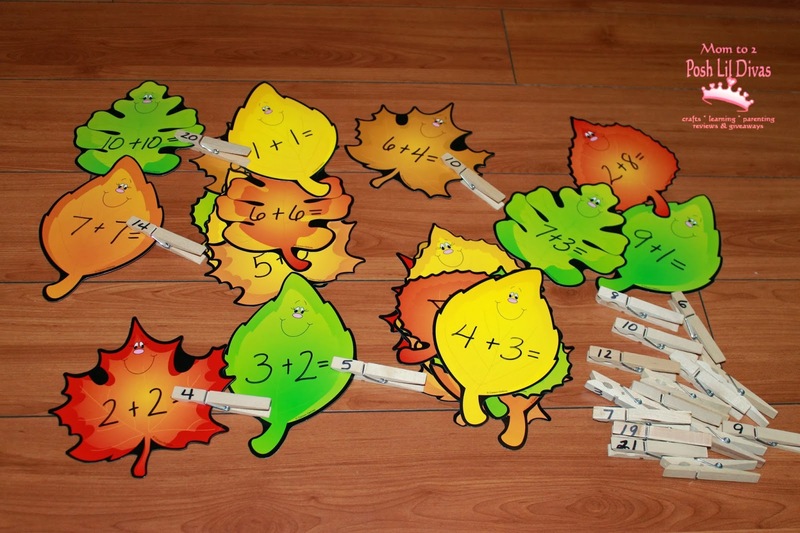 Write the answers to all the math fact problems on the clothespins. 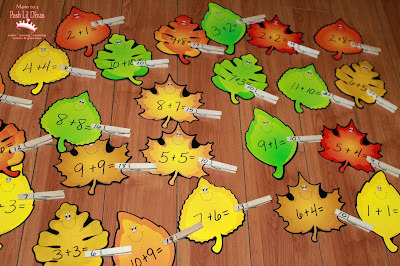 Turn all leaves face down on the floor or table. We like to play on the floor for extra room. 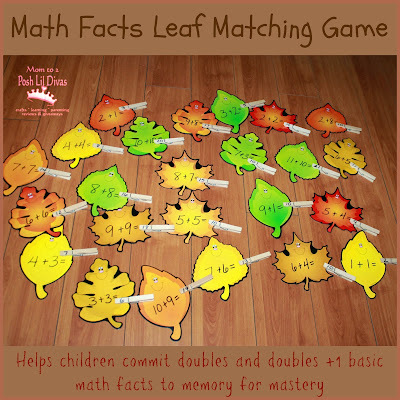 Child turns over one leaf at a time, reads the math fact problem and matches it by clipping on the clothespin with the correct answer. 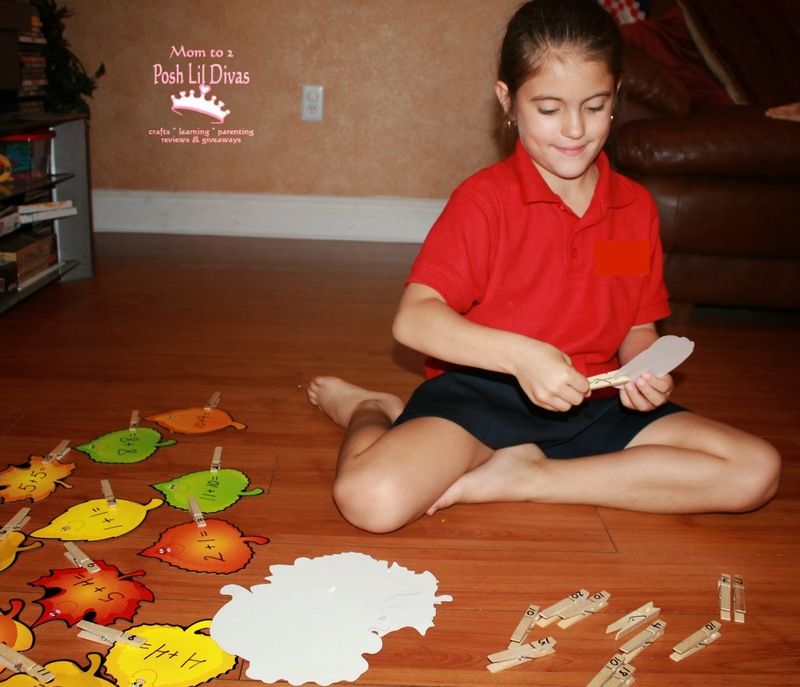 Child continues playing until all leaves and clothespins have been matched. They can play independently and you can "check" when they are done. I like to do it this way because if they are left with clothespins that don't match up towards the end, they know they did something wrong along the way and have to go back and check their work (extra practice!). It's a very simple but fun way to practice math facts. I store it all in a ziplock bag. It takes up little room and we have gotten 2 years of practice from it from 2 girls! Looking for other math game ideas? 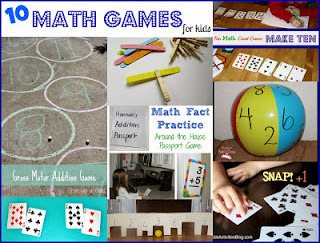 and be sure to stop by our Math Fun Pinterest Board! 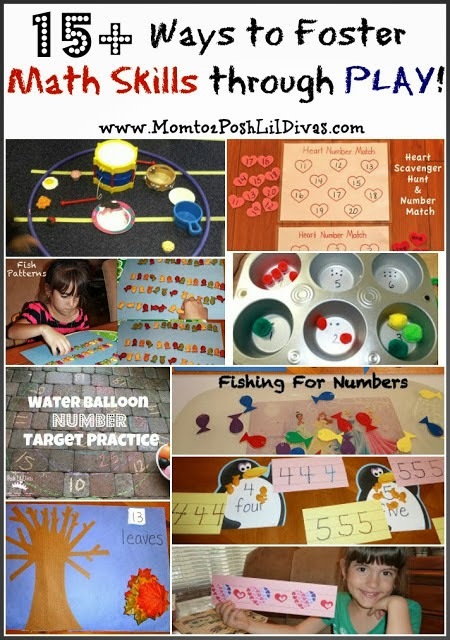 It's chock full of fun math ideas from all around the web. 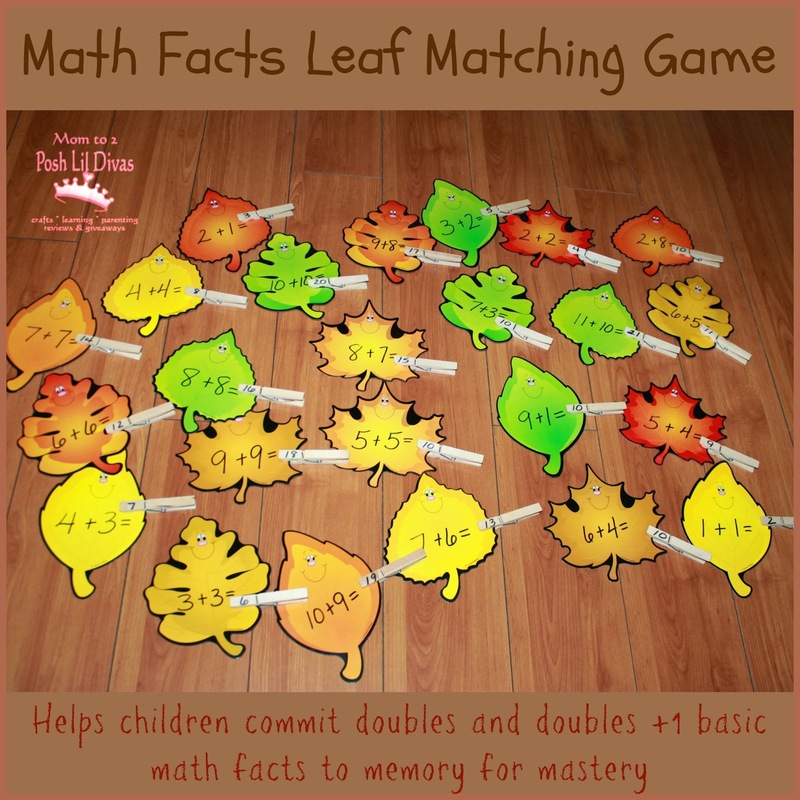 How do you practice math facts with your children or students? Please share by commenting below. 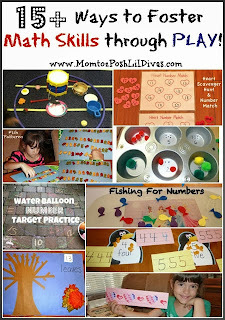 I'm always looking for more interactive math ideas. Have fun practicing those math facts! Disclosure: This post contains Amazon affiliate links for your convenience. I do make a small commission on any items purchased from my links. Thank you for your support.